The 2011 edition of the All-Star Game will be the 82nd Midsummer Classic. This will be the first time for both the Arizona Diamondbacks and the City of Phoenix to host the All-Star Game for Major League Baseball. The last time that the Diamondbacks hosted a major baseball event in downtown Phoenix, it was the World Series and we won! Since that time, downtown Phoenix has changed quite a bit, with a new convention center, new restaurants and the addition of METRO light rail. 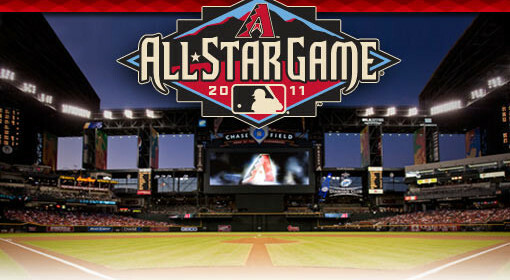 It is estimated that hosting this All-Star game will generate $60 million in direct economic impact to the Phoenix area. Get to the game in style with AZ Sedans LLC. We offer a unique fleet of cars ranging from Luxury Sedans, SUVs, Limos, Party buses and more.. We are your premier limousine company for all the transportation needs.